Whatever name they go by - string beans, snap beans, or green beans - they boast a host of health benefits. Why is it good for my body? Green beans are high in fiber and provide protein. They also contain vitamins A, C, K, B6 and folic acid. They provide minerals like calcium, potassium, copper, iron, manganese, and silicon. Where does it come from? Green beans have their origin in Peru and traveled to South and Central America with migrating Indian tribes. These climbing beans were often planted with corn. For Native Americans they beans are one of the Three Sisters, along with squash and corn. What season is it fresh? 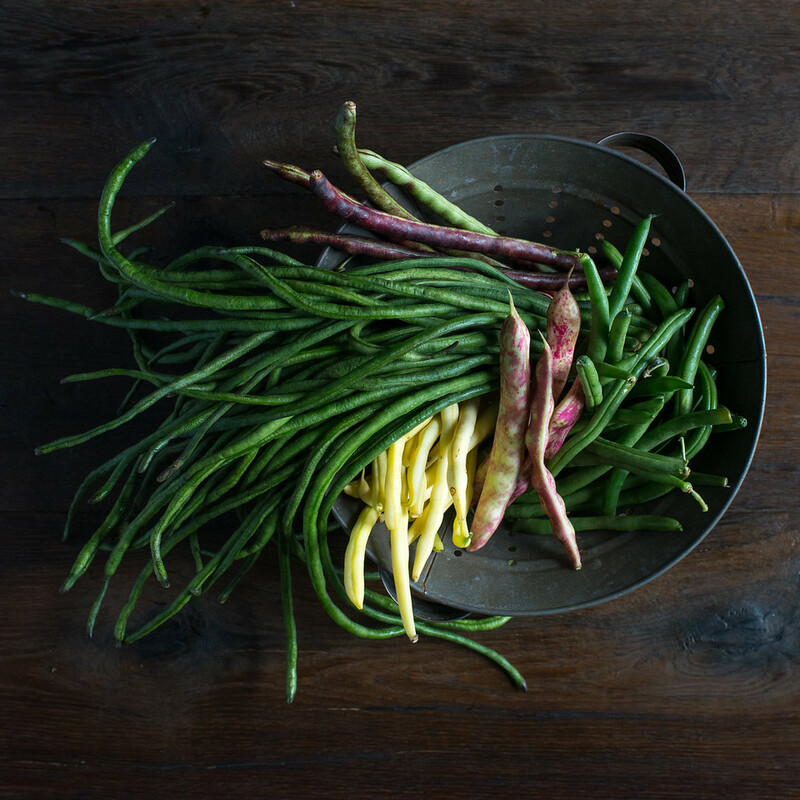 Green beans are available both fresh and frozen, year-round in supermarkets, but the main growing season is May-September. How do I store and handle it? Store fresh green beans unwashed in a plastic bag or container in the refrigerator for up to 7 days. To freeze, rinse in cool water, drain, trim off ends, and cut to your preferred length. What are ways to eat it? Green beans can be steamed, boiled, roasted, sauteed, and even eaten raw! They are a great addition to stir-fry, curries, soups, and stews. How do I introduce it to first-time tasters? Green beans can be an excellent first food for babies, as long as they are cooked until very soft. Make sure that strings are removed from fresh green beans before feeding to babies.